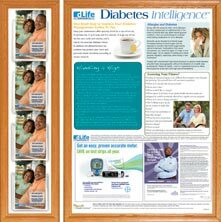 Elite Sampling & Media Group are experts in the creation and execution of Patient Information Centers. Below are some examples. Elite has its own portal – patientinformationcenter.net – which houses current and historical content for all of its programs. Consumers can visit the portal to see current and archived content, print out articles of interest and educate themselves on the different therapeutic areas covered by Elite's programs. The portal offers an additional outlet for advertisers who can deliver video and digital messaging and link consumers to other relevant websites. Located in Primary Care and Endocrinologist offices nationwide, this program offers medical knowledge and informative updates focused on educating consumers about the risks of Diabetes and how to monitor and treat symptoms. Editorial is provided by dLife. 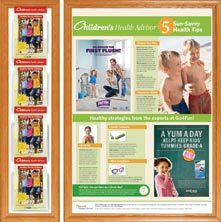 The Children’s Health Network is a General Market program found in Pediatrician offices nationwide. 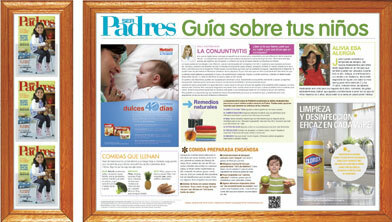 The program is designed to communicate with “Mom” and offers topical editorial and practical tips on ensuring the health and well-being of your children. Reaches millions of women in America's OBG/YN offices. 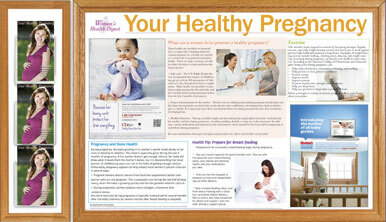 The program offers informative, topical editorial on a variety of current issues affecting pregnant women. 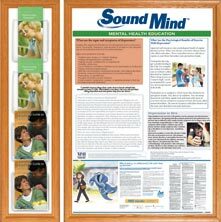 Sound Mind is present in Psychiatrist and FP/GP offices nationwide, offering valuable information regarding mental health disorders as well as available treatment options. 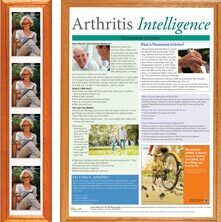 Elite offers two separate Patient Information programs surrounding Arthritis - one focuses on Rheumatoid Arthritis where Elite has captured valuable real estate in select Rheumatologist offices across America. The other focuses on Osteo Arthritis and is concentrated in Primary Care offices. The Ser Padres Patient Information Center network is a Spanish language program reaching young Hispanic families in Pediatrician and OBG/YN offices.